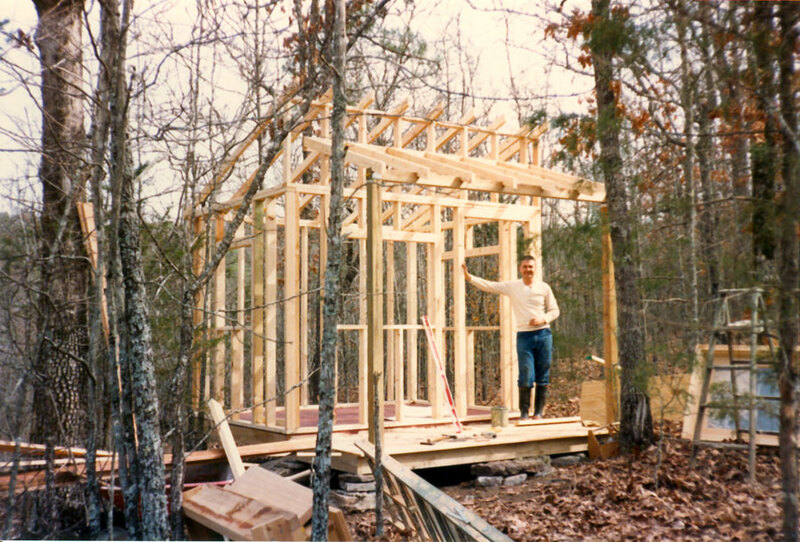 Framing cabin No.1 is complete. Its difficult to see from the photo, but the cabin is setting about 4 feet from the edge of a bluff--a vertical drop of about 40 feet. The green you see behind the cabin is the tops of trees growing at the base of the bluff. 1989, scanned color print, 3 x 5 in. (7.62 x 12.7 cm). Ozark Series. © 2008 by Allen C. Benson.